Customers of Cloud-based accounting company, Xero, have been told to reset their passwords after a ‘small number’ of customers had their details compromised. The New Zealand-based company sent out a warning to customers via email advising them to reset their passwords following the breach. 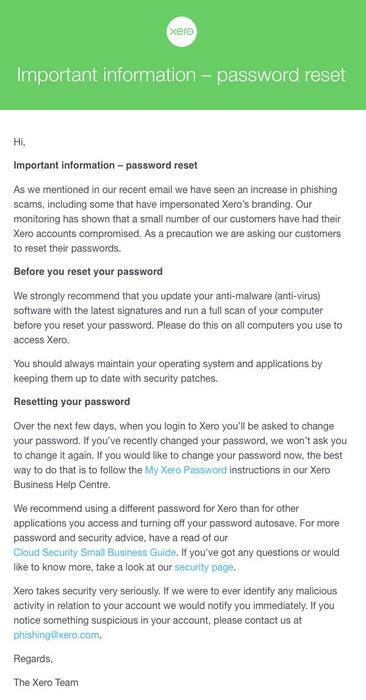 The email claimed that Xero had seen an increase in phishing attacks exploiting its brand, and that a "small number of customers have had their Xero accounts compromised." Xero said that its security team had been tracking “a small number of incidents”, resulting from phishing attacks. Due to the nature of its business, Xero holds a great deal of information relating to customer finances, clients and suppliers inside accounts, a concern for users as this data relates to almost every aspect of their business. The accounting solutions provider also warned users that they should scan their computers for malware using an up-to-date anti-virus - presumably to mitigate the effects of spyware that may be present as a result of compromised accounts. “We strongly recommend that you update your anti-malware (anti-virus) software with the latest signatures and run a full scan of your computer before you reset your password. Please do this on all computers you use to access Xero,” the company said in a statement. "As we have been communicating for the last month, we’ve noticed an increase in the volume of phishing attacks and malware scams. This is an industry-wide problem for business software, online banking and other websites. Our security team has been tracking a small number of incidents as a result of phishing attacks or malware, where a small number of Xero usernames and passwords have been obtained. As you can appreciate, we do not discuss details about a user’s incident outside of informing the authorities or another organisation that needs to be involved. "Our own Xero system has not been compromised in any way. 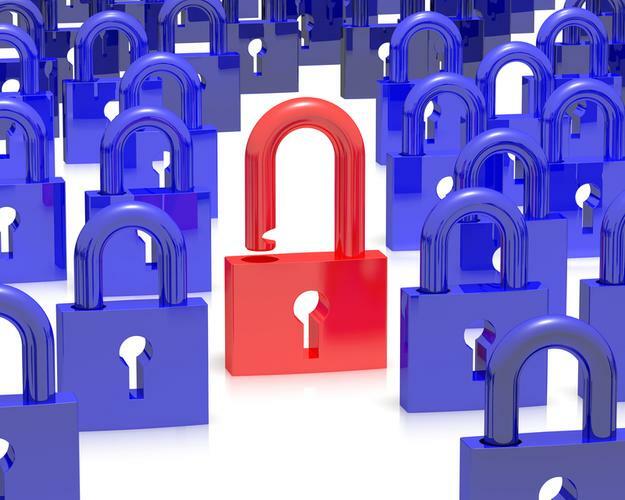 Investigation by KPMG’s Cyber Security Practice has confirmed that there is no evidence that this activity is a direct attack on Xero or its security services, or that Xero systems have been compromised in any way. "We have been building in additional system controls to give our customers further protection against such incidents. For example, on your Xero dashboard you can check when you last logged in, and the location of those logins, including IP address."